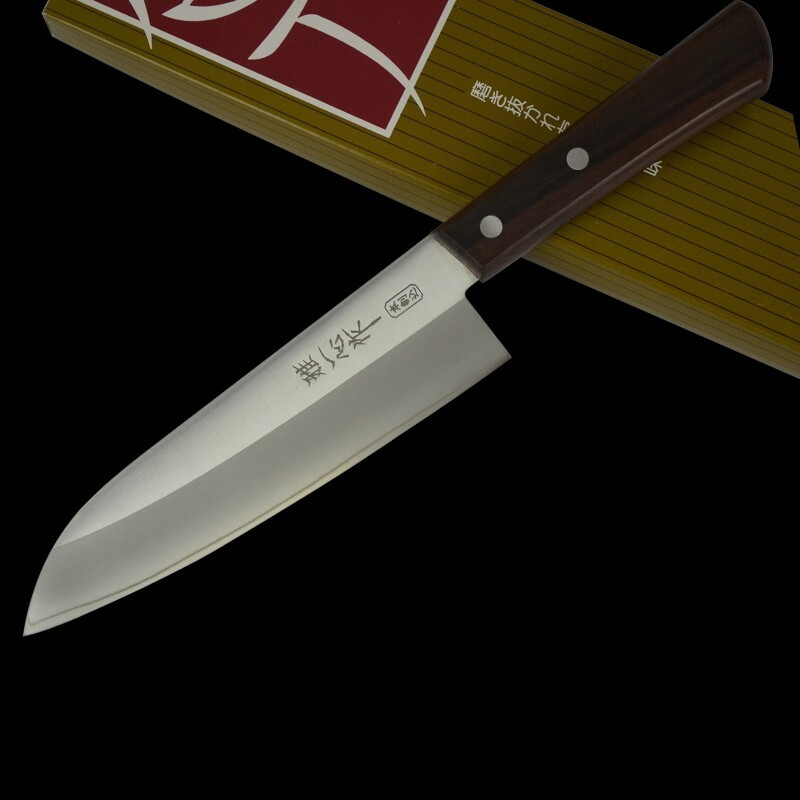 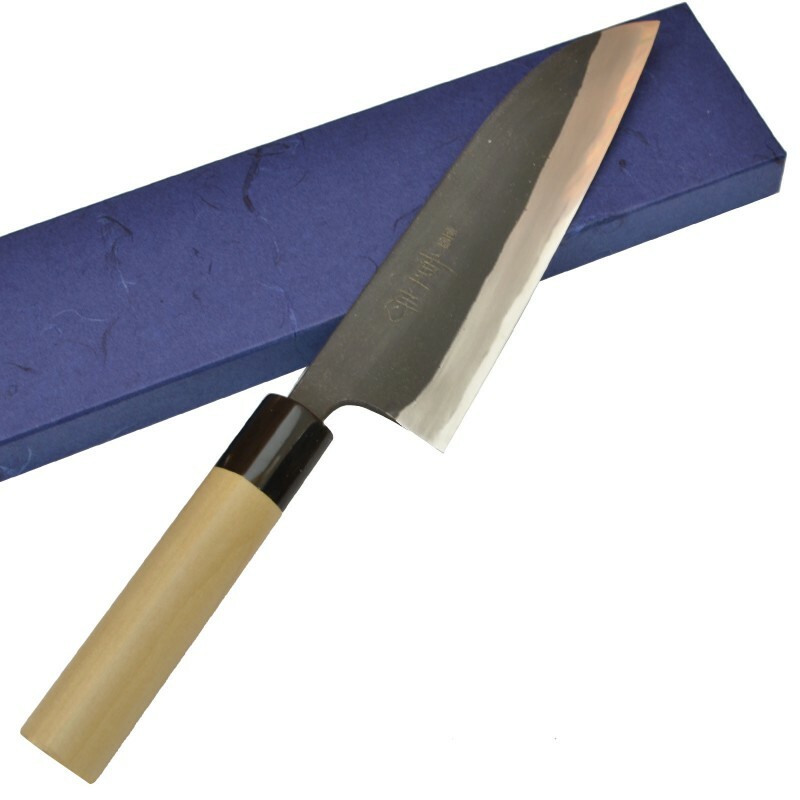 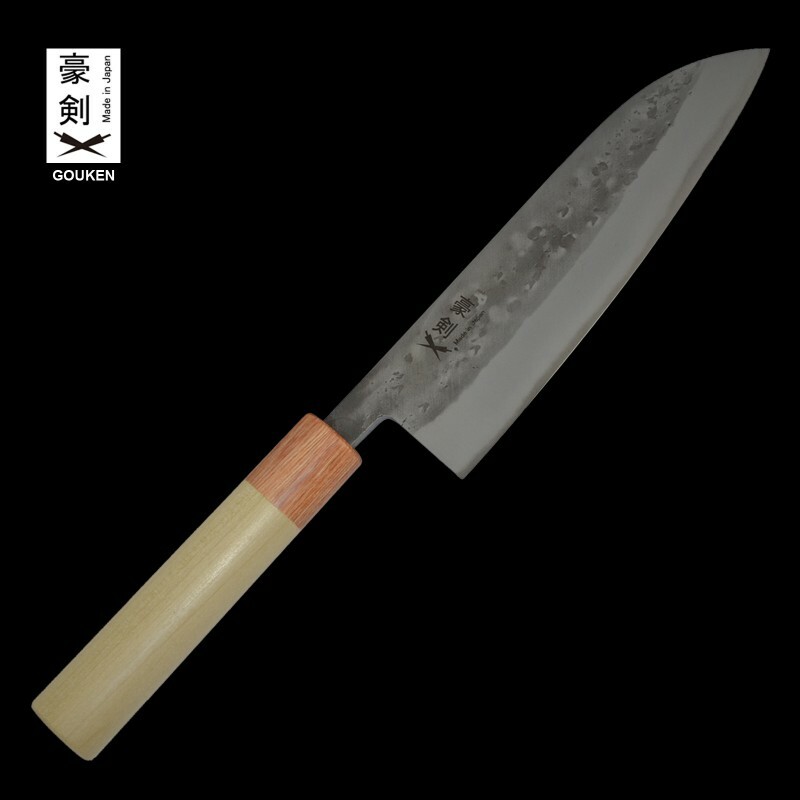 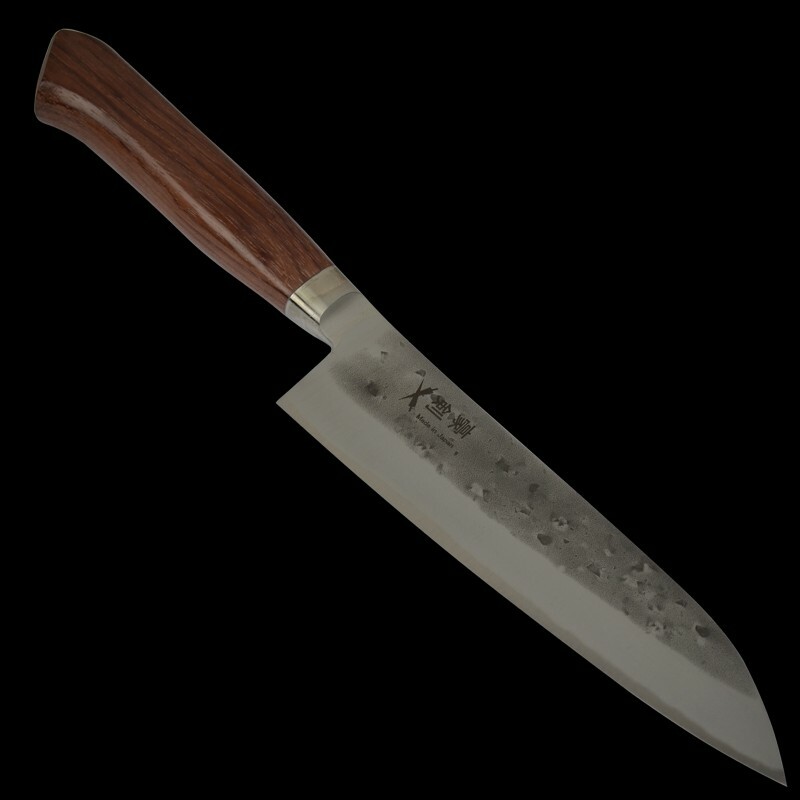 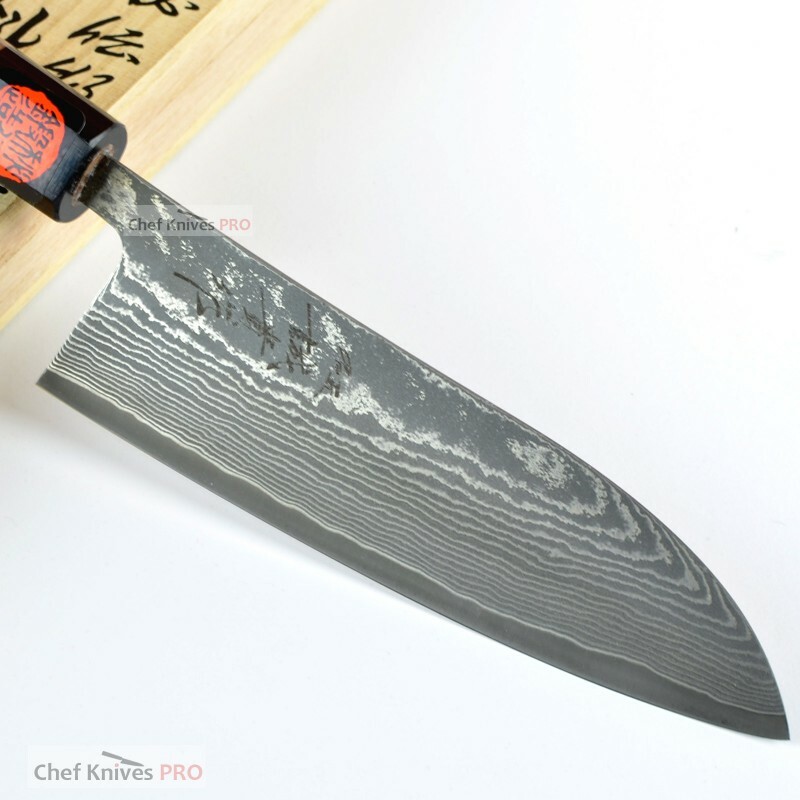 It is the most popular type of knife that has evolved together with the Japanese culture. 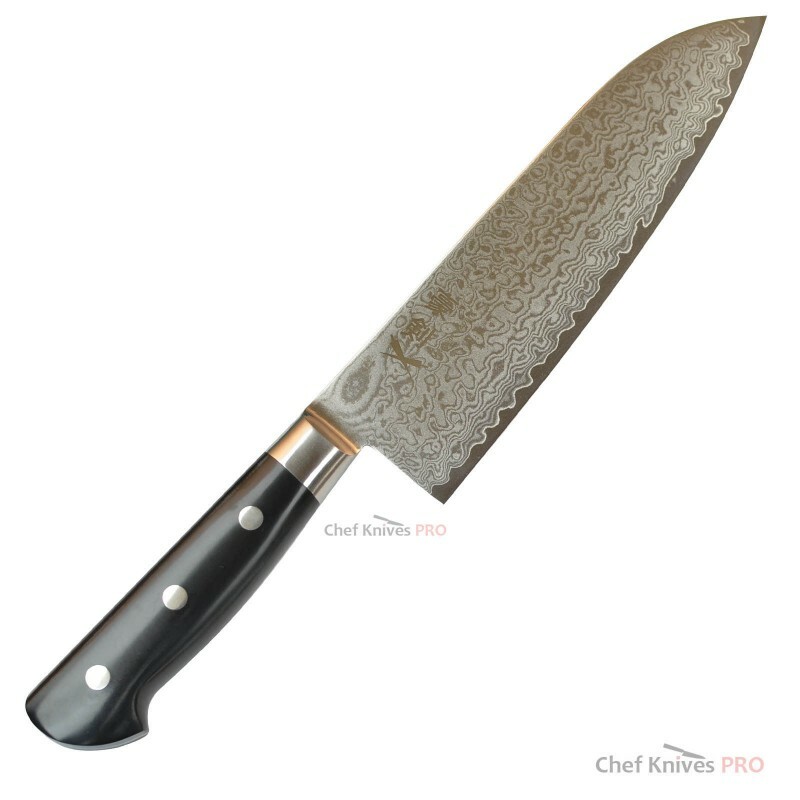 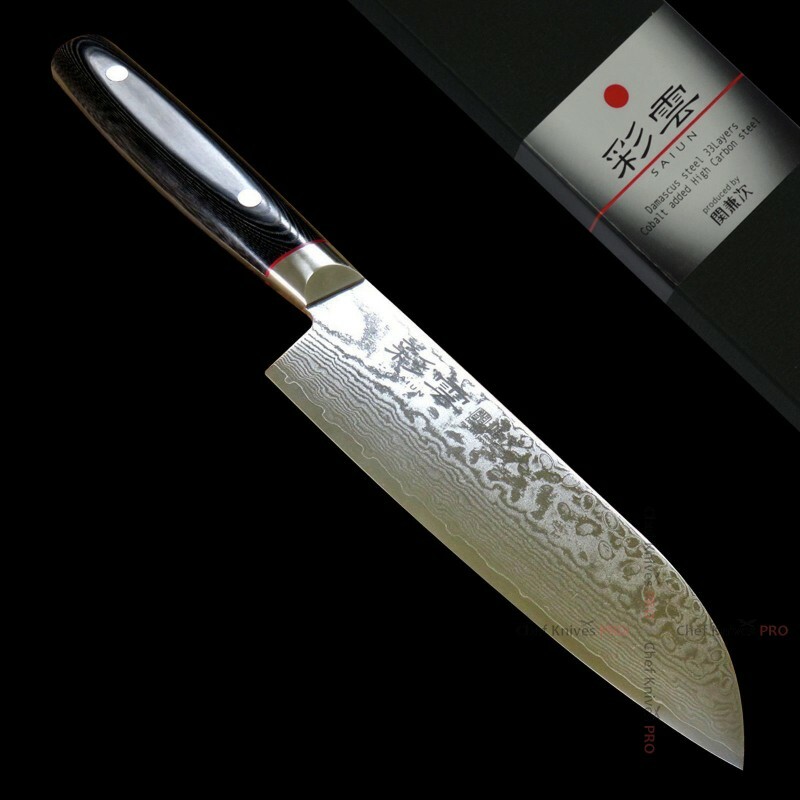 It is said you cannot find a home in Japan without a Santoku Knife. 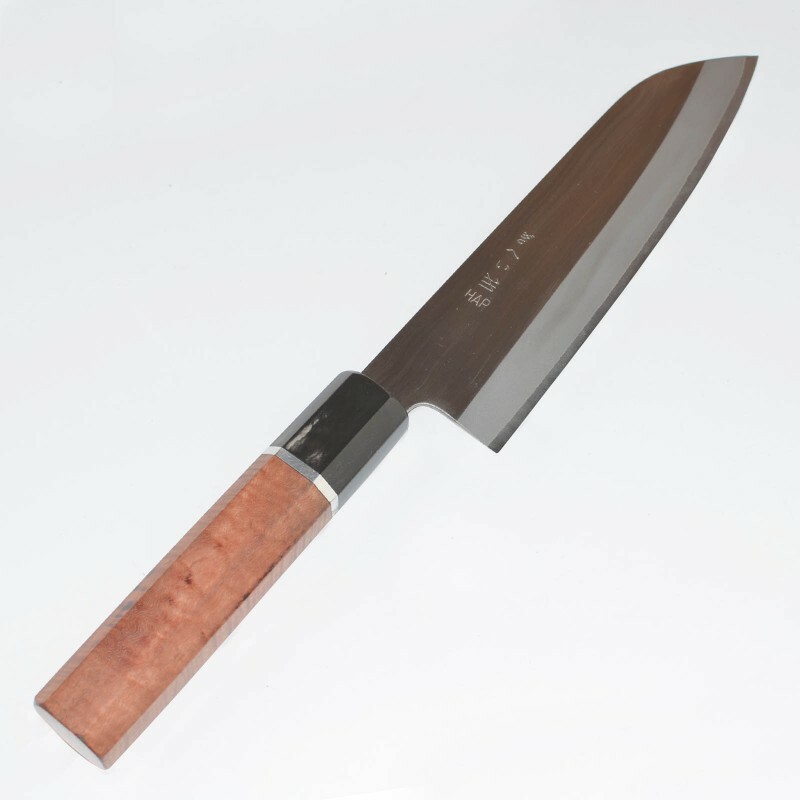 The “San”, or “three”, in Japanese points to three ingredients of meat, fish and vegetables pointing to its versatility. 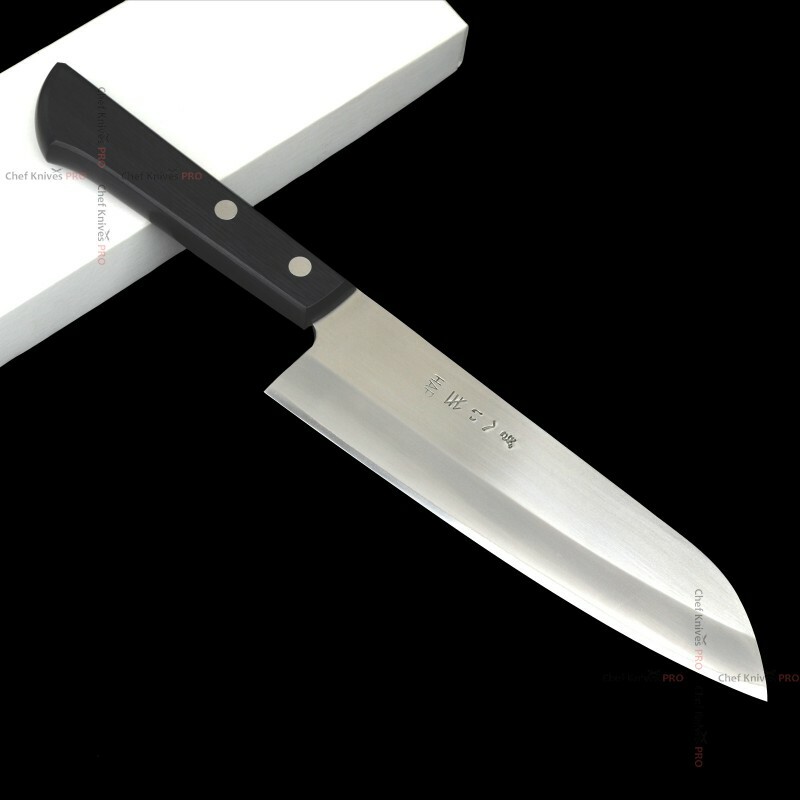 It is an all-purpose knife that could prepare pretty much any ingredient. 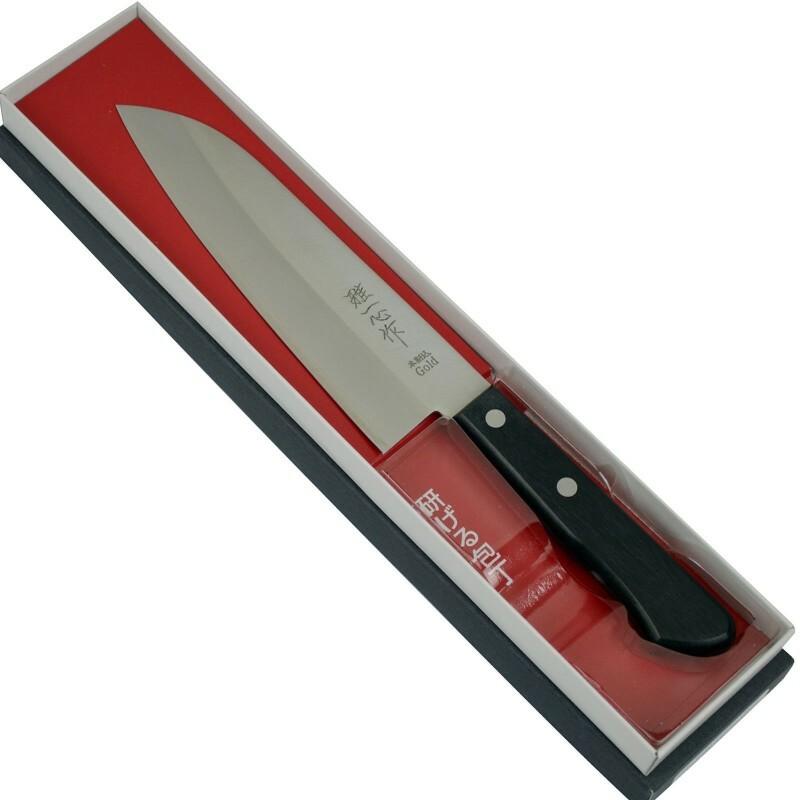 Although its birthplace is Japan, it’s convenience has spread all over the world. 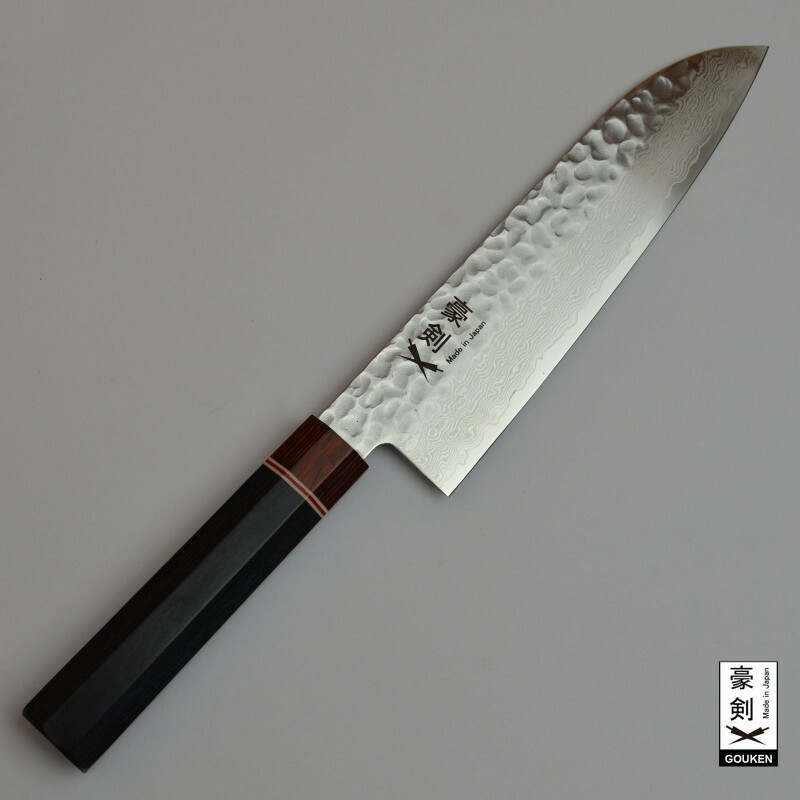 The blade is shorter and thinner with round tip which makes it perfect for cooking. 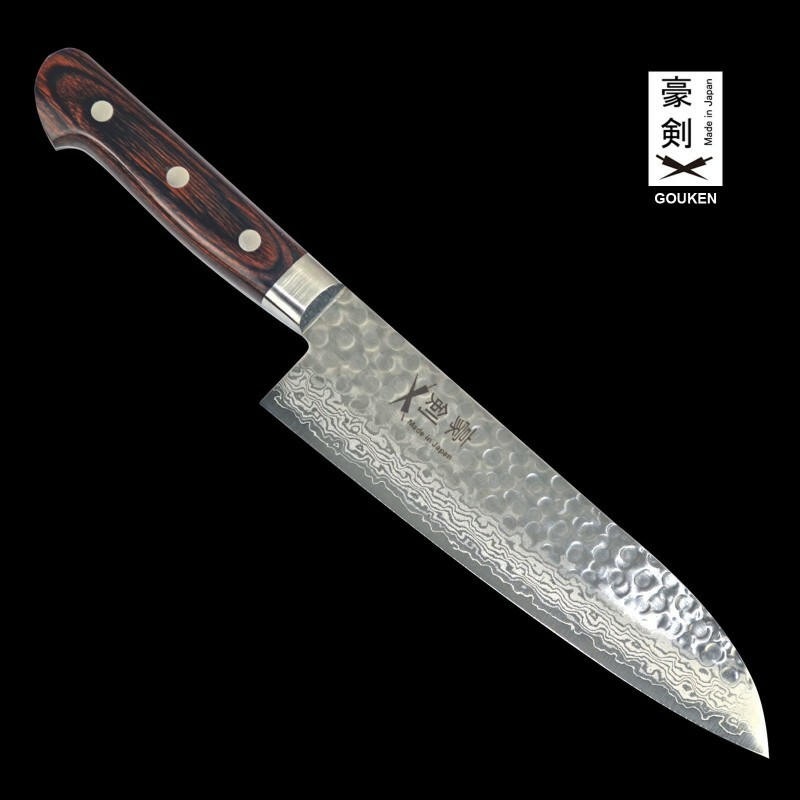 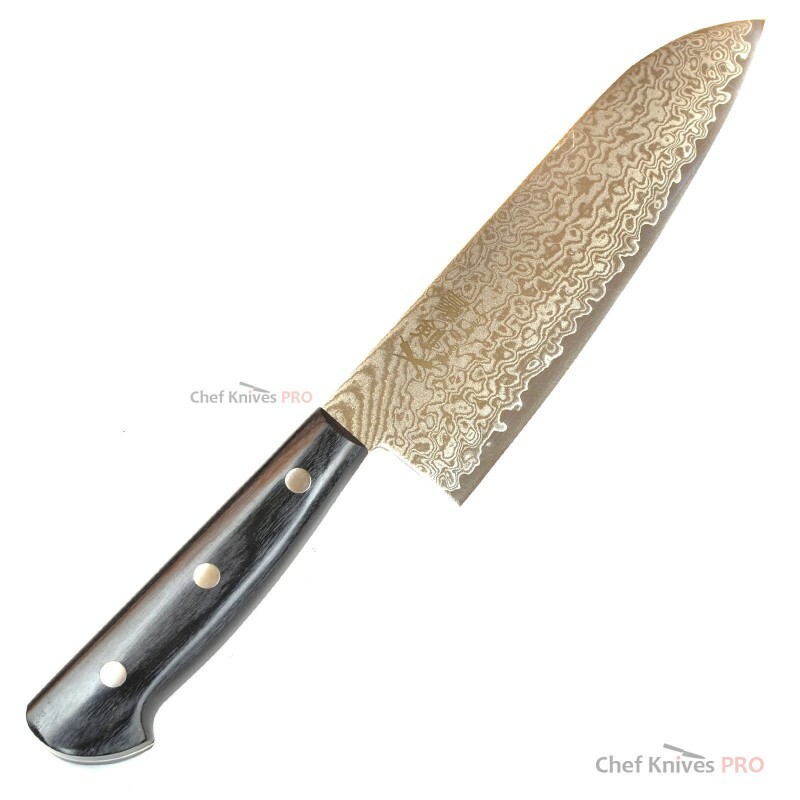 GOUKEN "MADE IN JAPAN"Professional Damascus VG10 Japanese Santoku Knife with Octagon .. 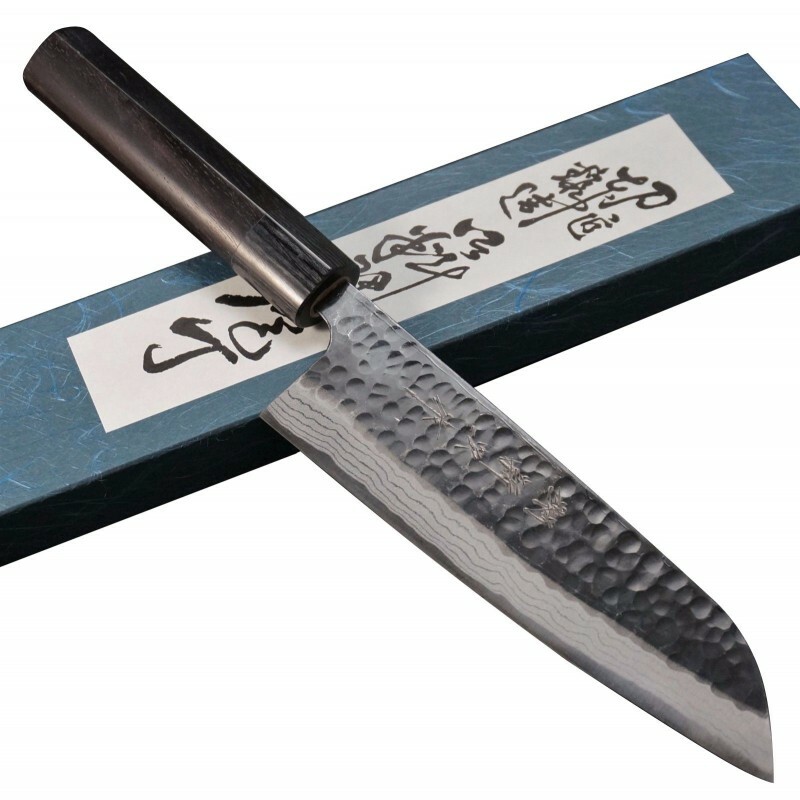 Brand New High Quality Hand forged hammered Small Santoku Knife Material - VG-10 Hammered ..
"GOUKEN "MADE IN JAPANBrand New High Quality forged Santoku Knife Material - VG-10 Nickel Damas..
"GOUKEN "MADE IN JAPANProfessional Blue Steel Japanese Santoku Chef Knife Brand New H..